We collaborated with a British urban-streetwear brand - Beauxnarrow - to discuss their brand story, goals, strategies, operational capacity, policies, profitability, and markability. Our team conducted necessary research related to the British fashion industry, business models, pricing and marketing; and our findings helped us to develop a comprehensive business plan for the founder and creative director to work with. We collaborated with Francine Bahati - a Winnipeg-based entrepreneur, whose passion for cosmetics and commitment to uplifting and inspiring young women has seen her business become one of Winnipeg's fastest growing cosmetic line. Prior to the establishment of her business, our team worked with Bahati to create a comprehensive business plan that serves as a guide for growth and decision-making processes in her business. 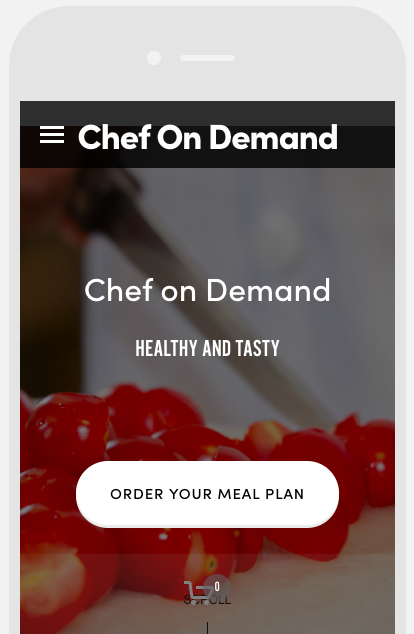 We collaborated with Chef Alex to design a state-of-the-art website for his premier meal plan and on-demand chef service business. The website is interactive and responsive on mobile and desktop platforms and serves as a lead magnet. Our team developed strategic contents that are help raise awareness for Chef Alex's brand and connects him with his target audience. We collaborated with Tijo, an inspirational artist from Winnipeg, to create an 80s-themed visual project for his freestyle track - Jesus. Our team worked with Tijo to brainstorm ideas, provide creative direction and manage all aspects of the video production process - from location scouting to post-production. — Najwa Hamdan, Chef at Mozaeic Catering and Foods. My experience with horoma was great. The team was very supportive and understanding. They provide you with the right resources and point you in the right direction. I would definitely recommend horoma to any entrepreneur starting a business. Thank you so much! I remember when we met, I shared my vision/dream and, honestly, all I had was faith. It has been so emotional to see this dream come to life.